The first leg of the Charles Schwab Cup playoffs tees off Friday at Sherwood Country Club in Thousand Oaks, Calif., with the PowerShares QQQ Championship—a new event on the PGA TOUR Champions. Sherwood’s exclusive Jack Nicklaus Signature Golf Course outside Los Angeles debuted renovations in March, as highlighted on the nationally syndicated weekly sports interview series “In Depth with Graham Bensinger,” but this week’s tournament opens the private golf course up to a worldwide audience. Watch the first-time event on Golf Channel Friday through Sunday from 5:30 to 8:00 p.m. ET. The PowerShares QQQ Championship is the first of three events in the new Charles Schwab Cup Playoffs, helping to determine the season-long Schwab Cup champion. Jack Nicklaus will also help determine the champion, as his designs are playing host to two of the three playoff events. The top-71 players in the Schwab Cup standings qualified to compete this week at Sherwood for a $2 million purse. A narrowed field, consisting of the top 54 players, will advance to the second playoff event, the Dominion Charity Classic at The Country Club of Virginia in Richmond. There, the field will be cut to the top 36 players for the season finale Nov. 7–13 at the Charles Schwab Cup Championship on the Golden Bear’s Cochise Course design at Desert Mountain in Scottsdale, Ariz.
By the time the Schwab Cup champion is crowned, nine courses involving the design work of Jack Nicklaus will have hosted a PGA TOUR Champions event in 2016—adding another chapter to the Nicklaus Design legacy of no fewer than 140 courses that have hosted a professional tournament worldwide. Last year, Bernhard Langer became the first to win the Charles Schwab Cup for a third time. He added back-to-back victories in 2014 and 2015 to go along with his first in 2010. This year, Langer enters the playoffs at the top of the Schwab money list, followed by No. 2 Miguel Angel Jimenez, No. 3 Joe Durant, No. 4 Colin Montgomerie, and No. 5 Woody Austin. Sherwood previously hosted Greg Norman’s Shark Shootout from 1989 through 1999, and then hosted the Tiger Woods World Challenge from 2000 through 2013. 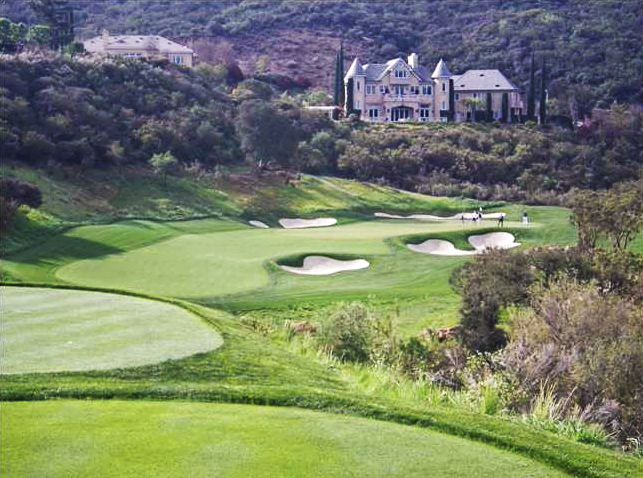 Then, in 2015, the high-profile Los Angeles-area club underwent a $10.5 million renovation led by Jack Nicklaus to modernize the course, tweak the design in areas to add even more playability for the membership, and implement significant agronomic improvements that not only allow the course to better accommodate the effects of a changing climate, but also dramatically reduce water consumption in a state challenged by an ongoing drought. It is believed that through the reduction of irrigated turf, the club has reduced water usage by 25 to 35 percent. Sherwood was among three Nicklaus courses that made the list of global finalists for Golf Inc. Renovation of the Year. More important to the club has been the new-look course’s impact on the membership. During the calendar year 2015, while the course was closed for renovation, the Club sold a total of nine new memberships, simply based on the “sizzle” of the anticipated new Jack Nicklaus Signature Golf Course. Since reopening in March, the already successful club has processed a staggering total of 56 new golf members in all possible categories, including regular, national and junior golf members. By year’s end, the club expects to top 60 members added in the nine months since reopening, and is approaching being sold out. Nicklaus joined the Sherwood membership in March to unveil and celebrate the renovations. Joining Nicklaus at a reception and for a ceremonial tee shot were hockey legend Wayne Gretzky, and actors Dennis Haysbert, Jon Lovitz and Craig T. Nelson. Congratulatory messages from Tiger Woods, Rory McIlroy, Luke Donald and Graeme McDowell were also received. For more information about the PowerShares QQQ Championship, visit pgatour.com/champions. To learn more about Sherwood Country Club, visit sherwoodcc.com.